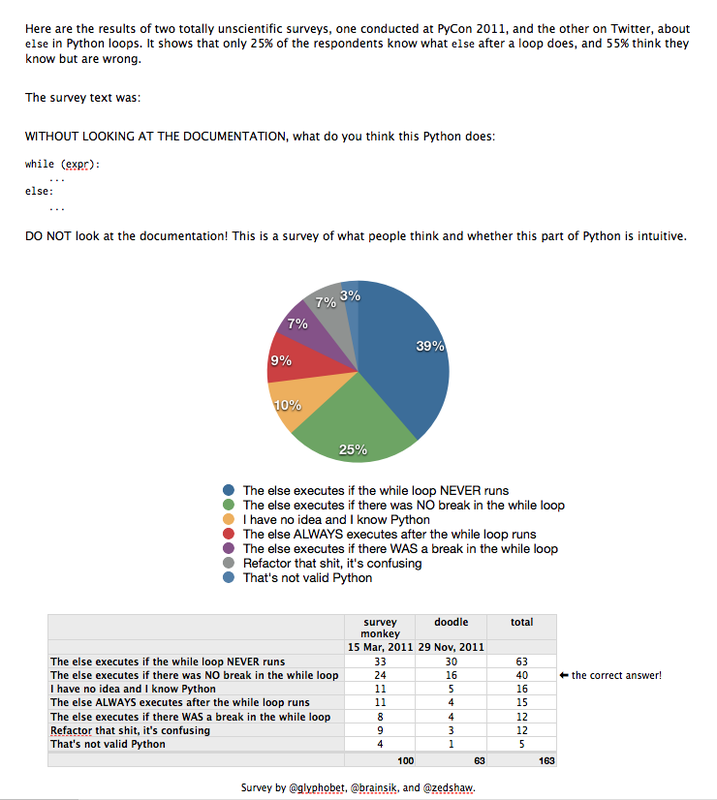 As promised, here are the results of two totally unscientific surveys, one conducted at PyCon 2011 and the other over Twitter just a few days ago, about the behavior of else in Python loops. The results show that only 25% of respondents know what else in a Python loop actually does, and 55% think they know but are wrong. This entry was posted in blurb and tagged programming, Python, syntax on 9th December 2011 by admin.